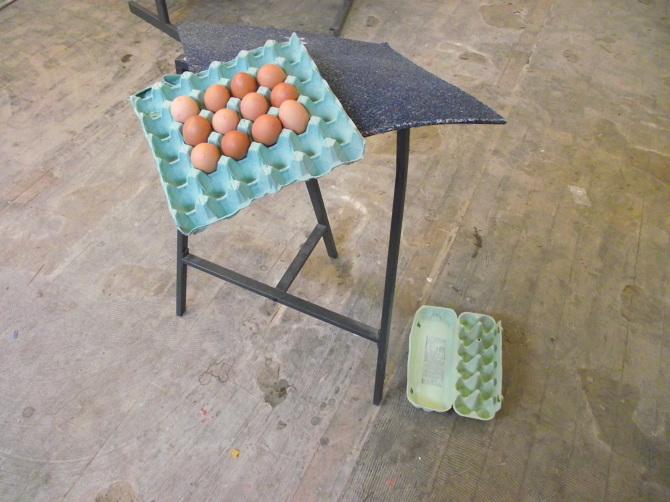 ESP is delighted to announce that 14 artists, including ESP members Peter Bourne, Sophie Bullock and Claire Davies have been selected for the MSB2015; a three-part residency exchange for members of Castlefield Gallery (Manchester) Bloc Projects (Sheffield) and ESP (Birmingham). List of all participating artists: Peter Bourne, Sandra Bouguerch, Sophie Bullock, Roger Bygott, Claire Davies, Niall Gormley, Lisa Denyer, Jenny Drinkwater, Rachael Hand, Jane Lawson, Rebecca Ounstead, Helen Stratford, Lea Torp Nielson and Claire Tindale. MSB2015 offers practitioners the chance to experiment, make new work and connections and builds on the success of the 2014 CPAGES exchange between ESP and CG Associates. Each part of the exchange is focused on providing opportunities for making work in quick, experimental contexts, developing conversations with other practitioners and opening opportunities for collaboration. MSB2015 is a sociable project that will offer introductions to the artistic scenes of each city and as part of the exchange we will organise informal dinners and visits to exhibition openings and events where possible. The first leg, hosted by CG Associates and Islington Mill Art Academy at Islington Mill, Salford, will comprise of two days of loosely structured activity. During this time participants will make new work in the large spaces available, a process which we hope will spark discussion and the development of new ideas. The two day exchange will kick off with introductions both within the group and with visitors from some of Manchester’s artist-led groups and organisations. On the second day invited curators will offer critical feedback on the work in progress and a public Open Studio event will conclude activity. The Sheffield session, hosted by Bloc at their space in Sheffield, will follow a similar format, with participants working together in a shared space over 2 days, with visits from invited artists, curators and practitioners punctuating activity and an informal Open Studio event inviting a broader audience to view the work and meet the participants. The Birmingham session, hosted by ESP at Stryx, Digbeth, will take place over five days offering participants a more sustained opportunity to consolidate some of their making, thinking and collaborating. Curators and practitioners from across the West Midlands will be invited to join the conversation and offer critical feedback on the work and plenty of opportunities for socializing with other ESP and Stryx members will be made available. This final leg will conclude with a celebration of the project where work will be presented at an Open Studio event at Digbeth First Friday. An informal public Open Studio event will mark the culmination of each mini-residency and provide an opportunity for reflection and public feedback. Where possible these will be timed to coincide with other public events and the final leg of the exchange will coincide with Digbeth First Friday, a popular public event that sees arts and food venues across Digbeth, Birmingham, welcome large audiences.